By definition, the corrosion is a damage of a material caused by chemical or electrochemical reaction. All metallic structures buried or immersed in an electrolytic environment are subject to corrosion. Several risks are associated with this corrosion : fire, pollution or poisoning. It also leads to an increase in operating costs by the item loss of, or repairs or replacement. The most effective way to fight against corrosion is cathodic protection by drawing electric current or impressed current. 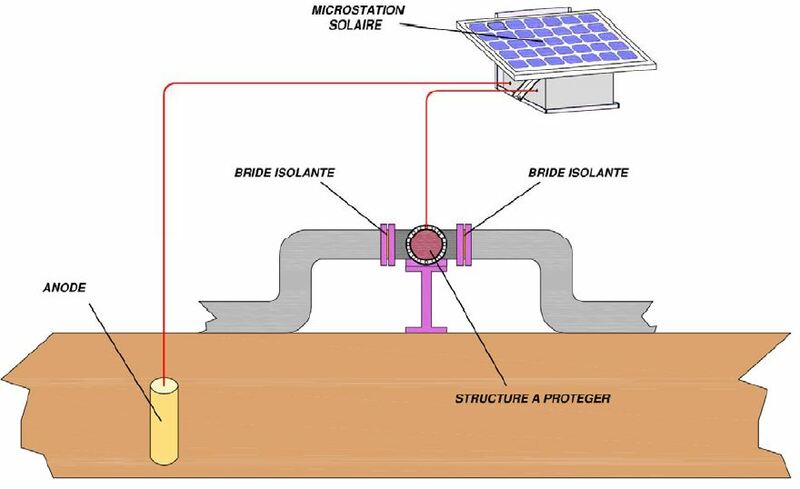 In facts, the structure to be protected is coupled to the negative polarity of a solar generator while the positive polarity is coupled to an anode. The power source is solar, it allows some of the geographical location independent and permanent power.